You won’t get trout at the end of this fishing trip. But you may get some peace of mind. It really was a great day to go fishing. Warm sunlight accompanied by a gentle breeze — quite uncharacteristic a Dutch weather. We tumbled untidily into the boat bobbing gently along the canal and checked our equipment (gloves and nets) with the air of fighter pilots doing a weapons check before embarking on a dogfight. 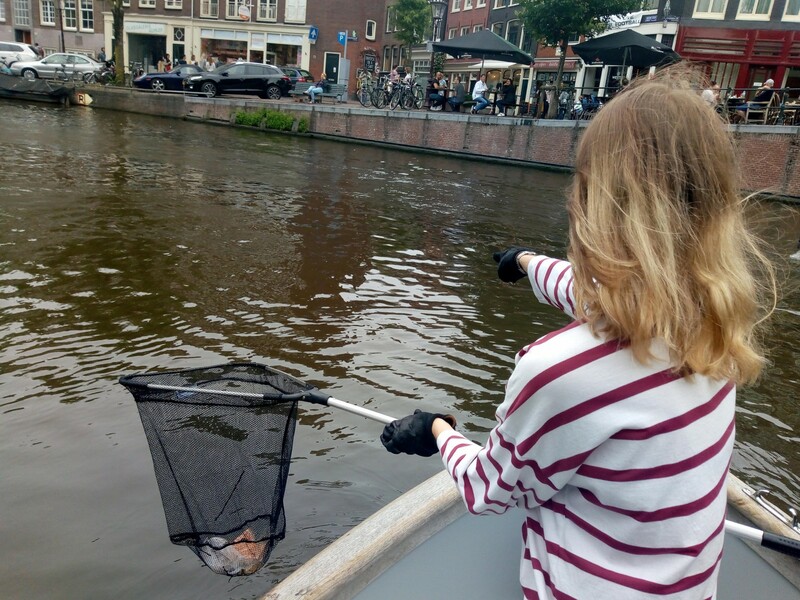 We were going plastic fishing along Amsterdam’s famous canals. 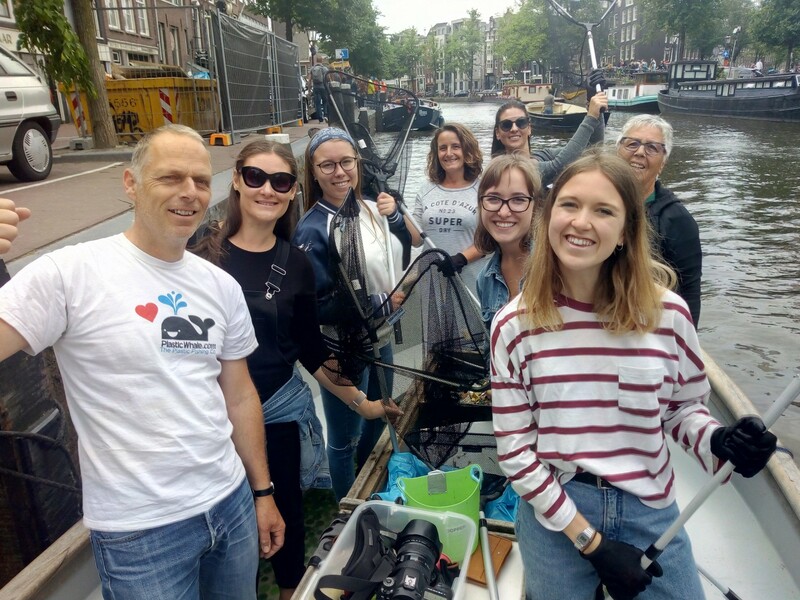 Having witnessed the Dutch canals put to such indignities, a group of people decided to launch an initiative known as Plastic Whale to remove plastic waste from the water, and use said waste to build boats. The grand plan? 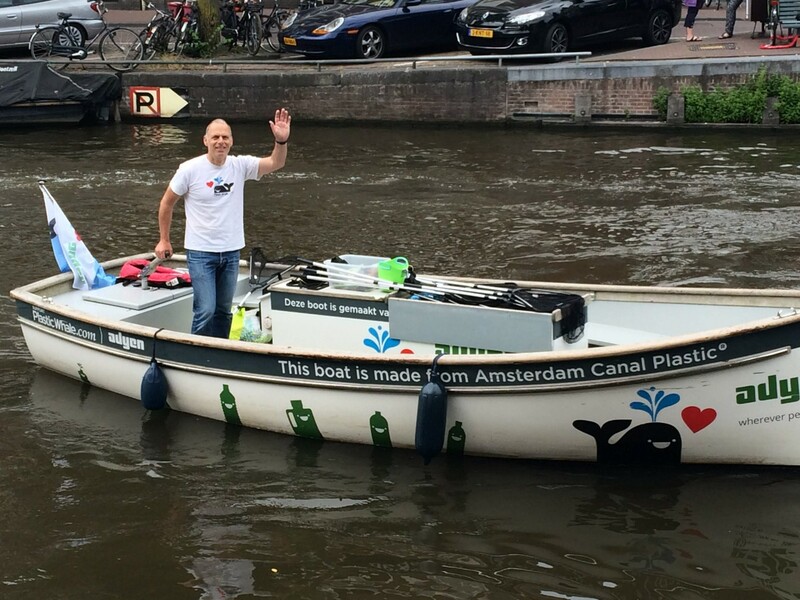 Ridding the world’s waterways of plastic waste. The progress so far? A fleet of ten boats constructed using almost entirely plastic waste caught on fishing trips. The city’s status as a major tourist destination comes with a caveat — tourists tend to litter and Amsterdam’s canals tend to be the targets. The city’s waterways are yet another victim of the global menace known as “Plastic Soup” — the callous dumping of approximately eight billion kilos of non-biodegradable plastic waste into the world’s lakes, rivers, and oceans each year. Which brings us to our own fishing trip. 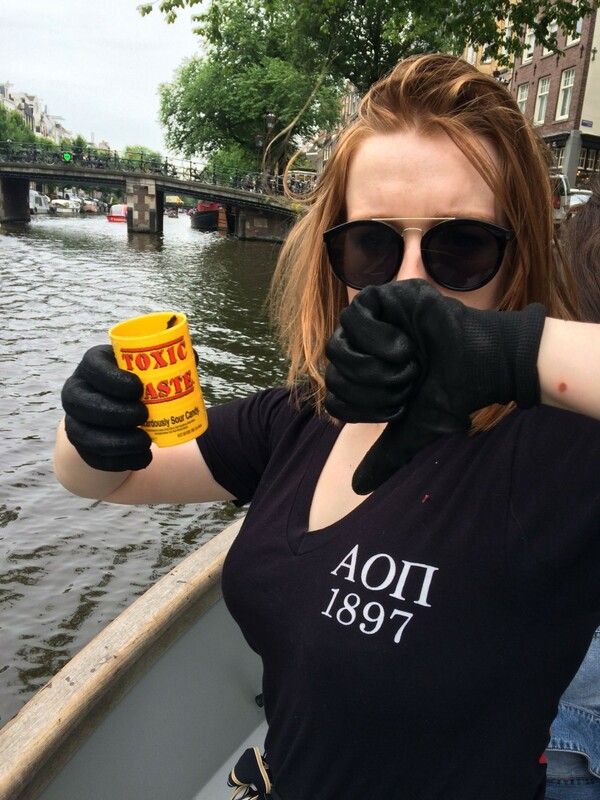 Since Amsterdam witnesses a surge in tourists during July and August, we were assured that the canals were hiding plenty of refuse demanding our attention. Our group diligently cast its nets around, keeping eyes peeled for the plastic offenders while the guide informed us about the various uses the company put the plastic to, including fashioning high-end office furniture. 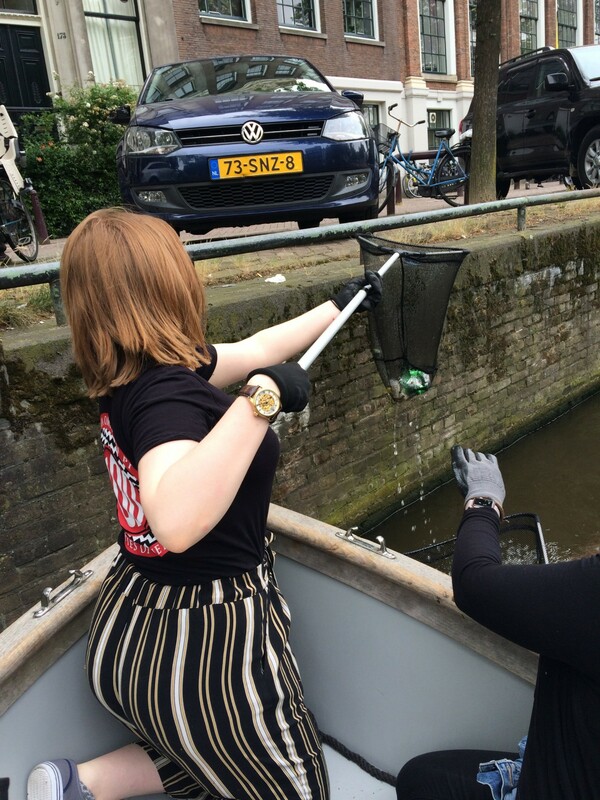 We were also told that a prize awaited the one who scooped the most plastic from the canals. Being an environment-friendly bunch, we shared stories and advice on how to live more sustainably, and participate in other activities similar to this. Basically, if the thought of a dolphin swimming around with cellophane wrapped around its snout makes you want to go out there and make a difference, Plastic Whale is certainly worth a visit. And if Amsterdam is too far a commute, they've got a bunch of boats in Rotterdam as well. Go fish.